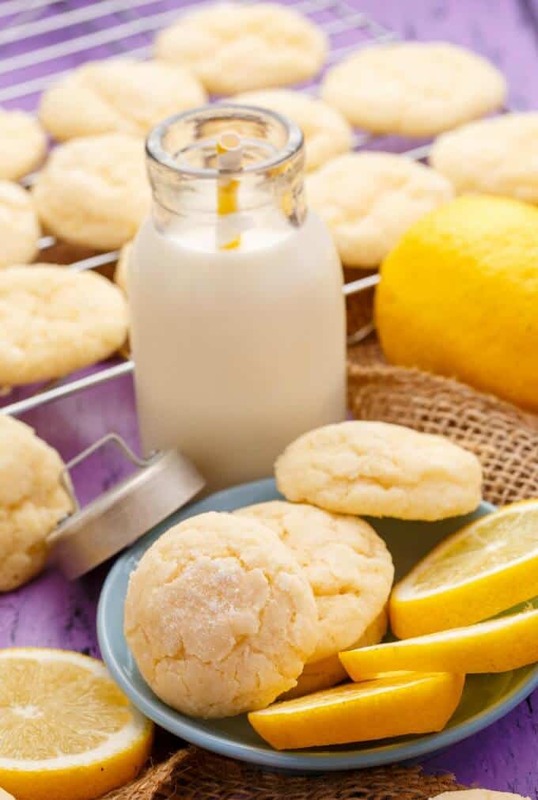 The photos and recipe for these lemon and almond cookie crinkles have been updated as of June 14th, 2017! This cookie recipe never gets old. 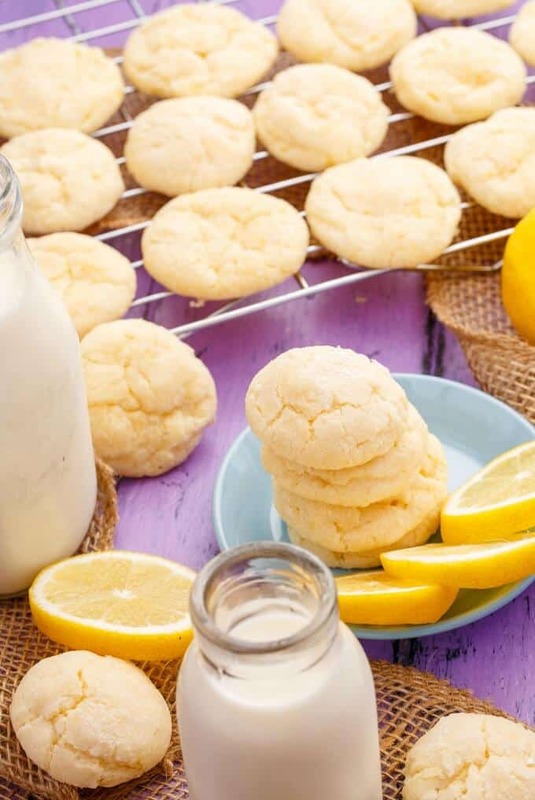 I love anything with a bold lemon flavour, but found when I made these cookies originally, they definitely needed more lemon (and that was after I zested an entire lemon!) It seems like other reviewers agreed; so when I went to make this recipe again, I totally put in more lemon, right? Wrong! I already had the first batch of cookies in the oven when I remembered I was supposed to add more lemon! No harm done, I added extra lemon to the remaining batter and while the cookies were a bit stickier to handle, they turned out perfect! A little different from my original take on these cookies because I decided to add almond extract instead of vanilla. It was well worth it because I find almond pairs so nicely with lemon. One word of advice: almond extract is very strong (at least to me.) Add a bit at first and then if you want more, add more. 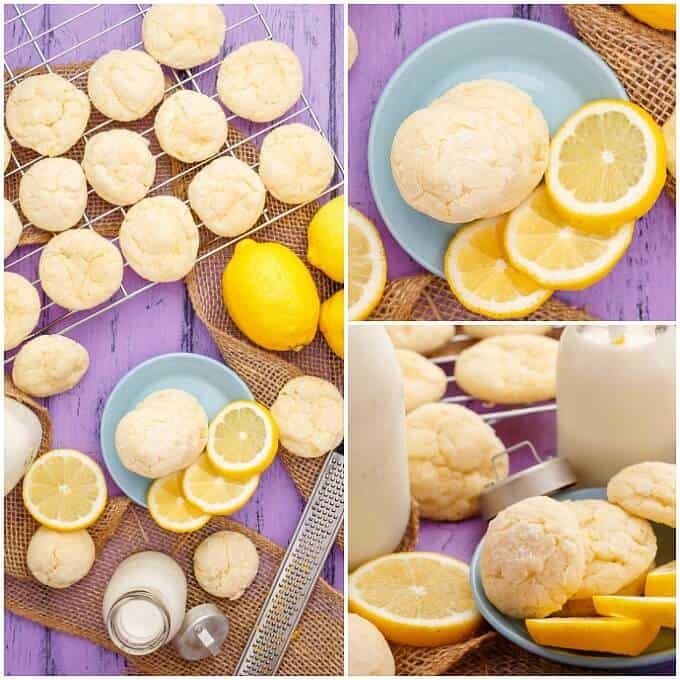 UPDATE: Soooo, after many years of making these lemon and almond cookie crinkles, I decided to rephotograph them! The recipe is pretty much the same, just some revisions text wise. When making these cookies, I highly suggest using a cookie scoop as the dough is very soft. Scoop the one tablespoon of batter directly into the bowl of icing sugar. This way, no sticky hands and you can easily roll them into a ball with the help of sugar. A spin on my lemon cookies, trying out almond extract instead! Line baking sheet with parchment paper or silicone liner and set aside. Add almond extract & egg. Mix until combined. Add lemon juice and mix again. Sift together flour, baking soda, baking powder, and salt. Add to mixer 1/2 cup at a time, mixing until just combined. Dough will be sticky! 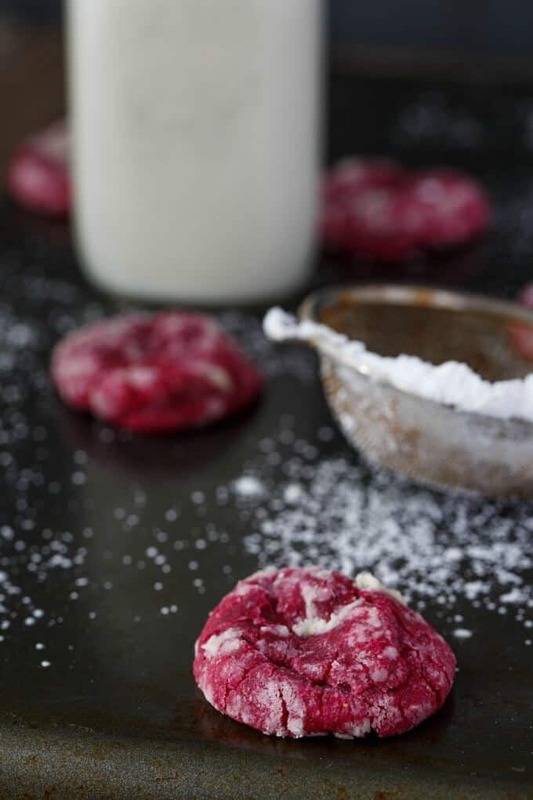 Measure out 1 tablespoon-sized dough portions and transfer immediately to confectioners' sugar. Roll until lightly coated and forms a ball. I also took the time to reduce the sugar in these cookies. Whenever I think of lemon, I think bold citrus flavours, so cutting back on the sugar seemed to help here. The dough is very sticky.. what did I do wrong? Hi Lisa, Don't worry, the dough will be sticky! I rely heavily on a cookie scoop for these cookies, but you just need to be gentle when working with them. I believe I spoke about dough stickiness in my orange cookie crinkles recipe. Excellent cookies only thing was I had to cook them about 12 minutes to get to the consistency I like. Also I am going to experiment with the toasted non-toasted coconut lime cookie and I am thinking you are right I don't think toasted coconut would stand up an additional 8 to 12 minutes. Thank you so much for a great recipe. I am making your Honey cake in the morning! Thank you so much letting me know about the cook time change! And please tell me how those coconut lime variety turn out! I still have not got around to them but I really want to try them! My cookies fell apart once I took them out of the oven. Any suggestions? Strange! They are definitely a softer cookie. Did they fall apart when you tried to move them from the pan? I would leave them on the tray to cool completely (I have forgotten mine many times on the pan and they turned out great!) 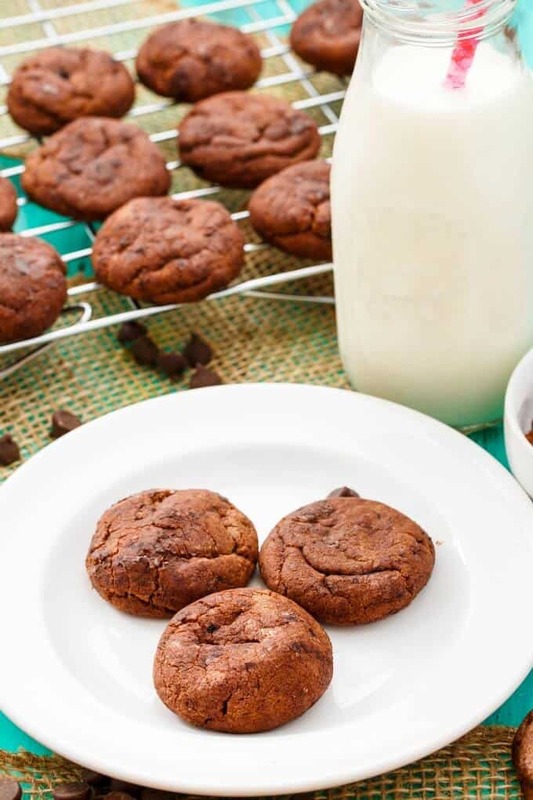 You can also add a few extra minutes of bake time :) I'll be honest and say I tend to under-bake my cookies a bit because I like them so soft, but this recipe always seems to yield soft cookies, even if you bake them a bit longer. Hope that helps!